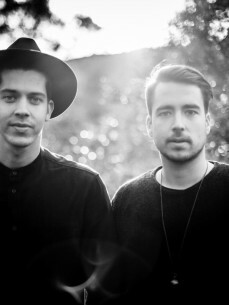 Thomas and Julien de Bie aka Parallells are a duo of DJ/producers from South of France and based in The Netherlands. The duo grew up in a jazzy and funky environment, played both at the Jazz Conservatory. Their set can be characterized by the mix of several genres with a spacey and melodic touch that brings its audience on an emotional journey. Co-founders of Klassified Records, the two brothers also run the Klassified Music Festival in South of France. Proposing both Dj and a live set, Parallells continuous look for new sounds of unusual places that they translate into music and videos called "A Day At". With releases on Bar 25, Submarines Vibes, Crossings and their own imprint Klassified, the two brothers are also residents of Amsterdam collective The Gardens of Babylon, Ibiza's party Woomoon and Berlin's event Bordel Des Arts.